Stevens Creek Elementary and Early Learning Center - GeoTest, Inc. This project was part of a $116 million dollar bond that was passed in 2016 and included the construction of a new elementary school and early learning center. The 38 acre project site was logged and cleared, requiring substantial excavation and grading before construction of the two buildings could begin. The new elementary school can serve up to 550 students grades K-5 and the early learning center building will include a developmental preschool. 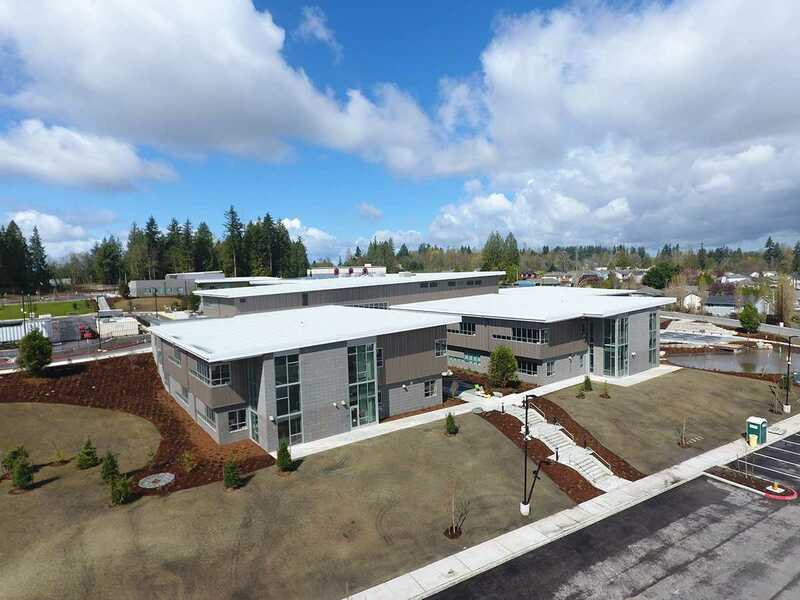 GeoTest provided building envelope inspection and testing throughout construction, as well as air leakage testing for both the Early Learning Center and Elementary buildings. Infrared thermography was used to examine interior walls during depressurizations to help determine where there was leakage in the building’s air barrier.